Congratulations! 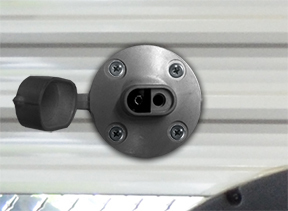 Your RV has been pre-wired with an industry-leading solar charging solution! 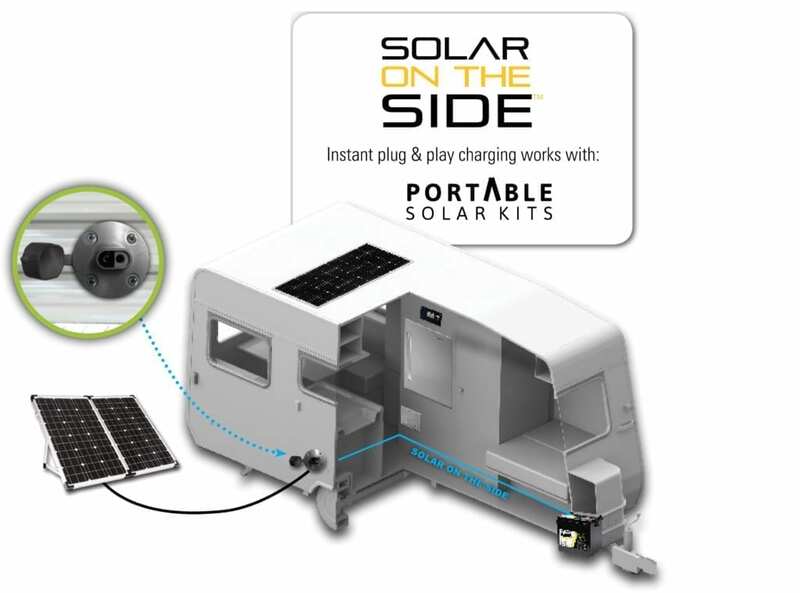 The side of your RV has been outfitted with an SAE solar port where you can quickly and easily plug in a portable solar panel. When you’re not plugged in, your batteries are constantly being drained. Whether it’s having the lights on or flushing the toilet, completely draining the batteries repeatedly takes a toll on battery life and can shorten them to just a couple of years. When battery power is topped up frequently by solar, the batteries stay healthy and life is extended twice as long or even longer, saving you money in the long run. Even if you have solar on the roof, portable solar allows you to park in the shade for those warm days when you’d rather stay cool! Accessory adapter to plug in Go Power! portable kits to the SAE solar port.